James Gadsden, U.S. Minister to Mexico, and General Antonio López de Santa Anna, President of Mexico, signed the Gadsden Purchase in Mexico City on December 30, 1853. 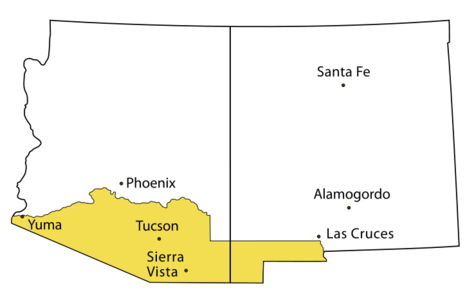 The treaty settled the dispute over the exact location of the Mexican border west of El Paso, Texas, giving the U.S. claim to approximately 29,000 square miles of land in what is now southern New Mexico and Arizona, for the price of $10,000,000. U.S. Secretary of War Jefferson Davis had sent Gadsden to negotiate with Santa Anna for this tract of land which many people, including Davis, believed to be strategic for the construction of the southern transcontinental railroad. Many supporters of a southern Pacific railroad route came to believe that a transcontinental route which stretched through the Gadsden Purchase territory would greatly advantage southern states should hostilities break out with the north. The Gadsden Purchase (known as Venta de La Mesilla, or "Sale of La Mesilla", in Mexico) is a 29,670-square-mile (76,800 km2) region of what is today southern Arizona and southwestern New Mexico that was purchased by the United States in a treaty signed by President Franklin Pierce on June 24, 1853, and then ratified by the U.S. Senate on April 25, 1854. 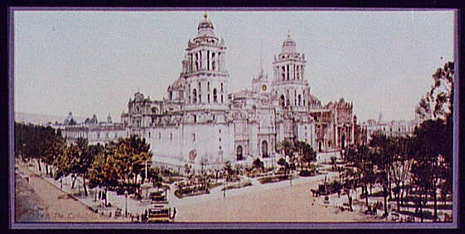 It is named for James Gadsden, the American ambassador sent to Mexico at the time. The purchase included lands south of the Gila River and west of the Rio Grande. The Gadsden Purchase was intended to allow for the construction of a transcontinental railroad along a very southern route, and it was part of negotiations needed to finalize border issues that remained unresolved from the Treaty of Guadalupe-Hidalgo, which ended the Mexican-American War of 1846–48. As the railroad age grew, business-oriented Southerners saw that a railroad linking the South with the Pacific Coast would expand trade opportunities. However, the topography of the southern portion of the Mexican Cession was believed to be too mountainous to allow a direct route, and projected southern routes tended to run to the north at their eastern ends, which would favor connections with northern railroads. That would ultimately favor Northern seaports. A route with a southeastern terminus, in order to avoid the mountains, might need to swing south into what was then Mexican territory.